All homes can only benefit from a garden in the front. This is an added feature to the aesthetics of any home. 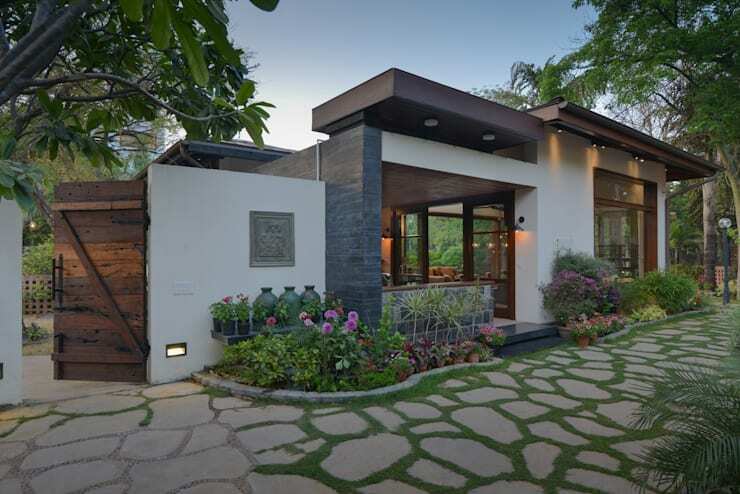 The garden is part of the home and the design should integrate with the home. This is also the first impression people get when they step onto your property, or walk by. A large property lends itself to a large garden, but small properties can also benefit from the beauty of a garden. Following are a few ideas for a small garden. 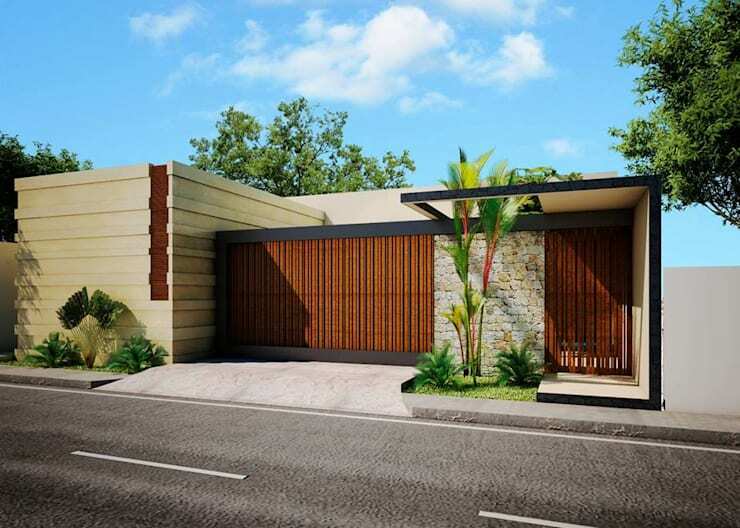 The best way to deal with your small garden design is to consider your home design. This means planning as well. It is important to take into consideration what you need in your front space. A small area such as the area below does not mean that you do not need a variety of plants. You can create a beautiful feature garden by using plants with different heights. This will allow space for the variety you want. A wonderful idea here is to use pot plants to create a denser look, and to control the plants better. Gardens are subjected to the space allocated to them, but more so also for the climate where you live. Small indigenous gardens could be low maintenance, and you need not worry too much about it. The Malaysian climate allows evergreen plants to grow year round. There are many colorful flower varieties to incorporate with the green. This type of garden can suit any style of home as you can play around with the different leaf sizes of various plants. Vertical gardens are ideal for a small space. You could use trellises to add some creepers or climbers to fill up the space. In recent times, moss gardens have become popular as well. It is once again an ideal way of making full use of the climatic conditions in Malaysia. It would also be a great way to decorate a blank wall. To break the green you could place pot plants at the bottom edge or plant colorful flowers in the soil. You do not have to neglect the narrow space in front of your home. Any space is big enough for a small garden as long as you can plant some plants. The example shows the excellent way in which a tiny garden can be as beautiful, and as majestic as a large garden. A variety of ferns and palms is an excellent idea for such a small strip of land. One of the best ways to create beauty is to add color. A garden, especially a small garden, does not need to be conventional. 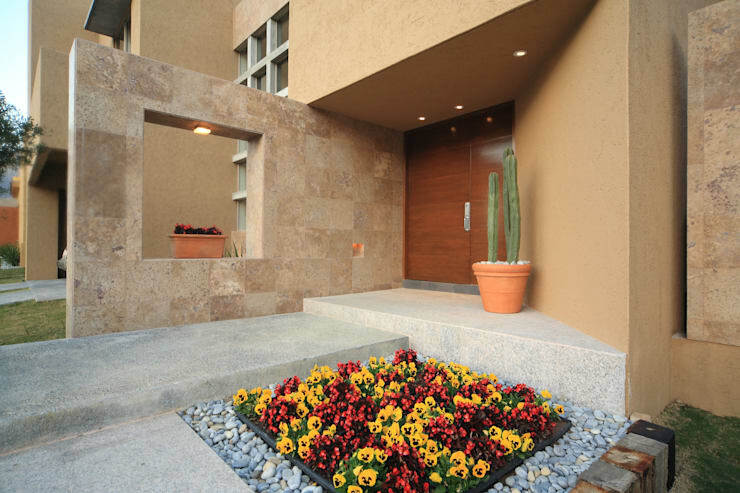 You can bring to life a concrete building with just a dash of color in the form of a small garden. Small flowers with vibrant colors add to the warmth of the home in the example. What is wonderful about this idea is that you could change the flowers each season. A conventional garden is a garden that follows the norm. This type of garden is easy to scale up to fill a larger space, or scaled down to fit into a small space. 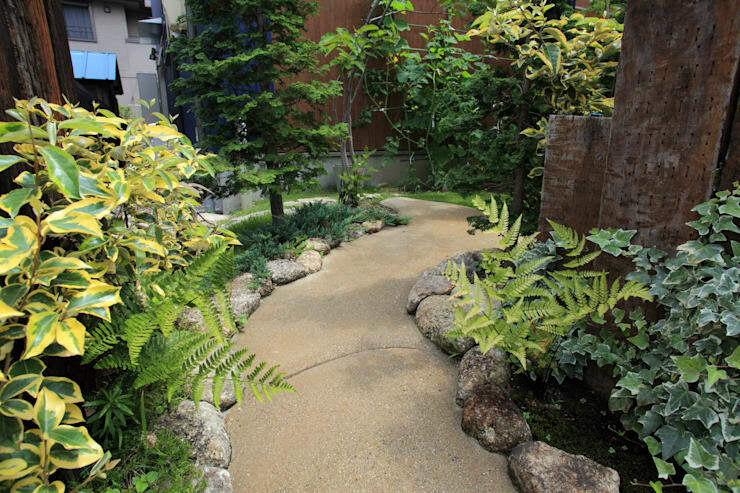 A small pathway for your small garden is also possible. You can add the plants of your choice along the walkway. The idea here is to line the pathway with a variety of green plants of different shades. It will create the peace that is required of a garden even if it is small. It does not mean that if you live in an apartment that you cannot have a garden. 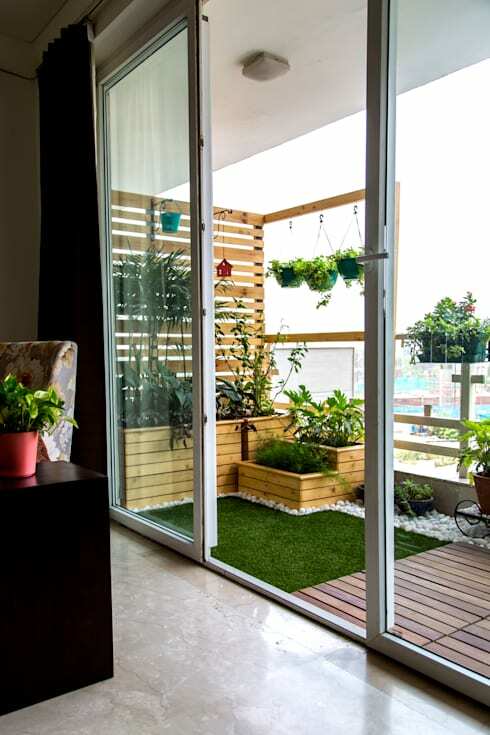 Pot plants can be used anywhere, and the balcony in your apartment is perfect for this kind of gardening. 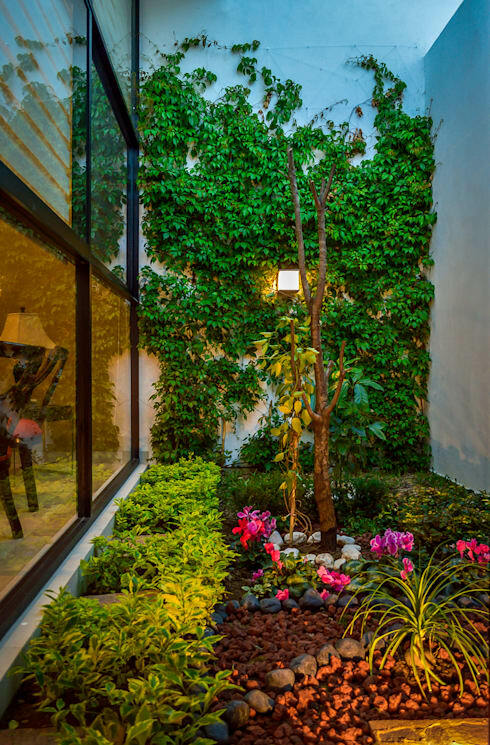 The importance is that you want the space to look like a garden and not like an interior space. This might take some planning so that you do not just buy random plants.